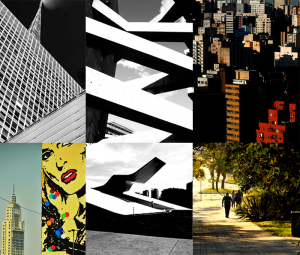 The city has an incredible cultural offer from small contemporary art galleries to internationally recognized museums such as the MASP (Museu de Arte de São Paulo), the Pinacoteca do Estado de São Paulo, the MIS (Museu da Imagem e do Som), the Museu Afro Brasil and the Museu da Imigração. São Paulo is one of the largest cities in the world. Nonetheless, most of the central part of the city is well served by a modern network of buses, trains and metro. The conference venue is conveniently located near subway line 2 (green) Trianon-Masp station. There are also plenty of bus stops nearby those locations, in case you stay in an area with no access to subway. It is possible to buy a ‘pay as you go’ public transport card (for Metro/Bus) on most subway stations – Bilhete Único. Taxi and Uber apps are also a convenient, affordable and easy way to travel through the city. For more information regarding São Paulo public transport network visit SP Trans. Also, and as an alternative to figure out routes to and from the venues, SPTRANS (São Paulo’s public transport management company) is well connected with most used web mapping services (Google Maps, Bing Maps, etc). There’s also apps specialized in public transportation that work well in São Paulo, such as Moovit. The Brazilian currency is the real (R$) — in plural, reais. Although international credit cards are widely accepted in general, it might be convenient to have some cash (in reais) for small expenses. Most international cards can be used to withdraw cash in local ATMs (Caixa Eletrônico), which may be found inside bank agencies or in other commercial venues such as shopping malls or convenience stores (the easier way to search for it is through the Banco24horas app). São Paulo has a monsoon-influenced humid subtropical climate, with temperatures in April (when the conference takes place) ranging from a mean low temperature of about 18 °C (64,4°F) to a mean high temperature of 26°C (78,8 °F). The city is also known fora rapidly changing weather throughout a single day. To enter Brazil there’s no demand of vaccination proof of any kind, nonetheless there may be vaccine recommendations that change from time to time, according to the region of the country you intend to visit, and your country of origin. We recommend that you consult your doctor on regard to the necessity of vaccination to visit São Paulo.